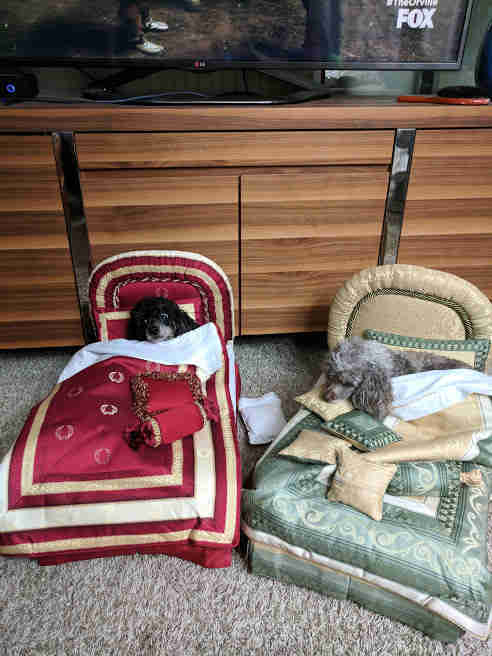 They snuggled up in them during the hurricane. Several years ago, Dasha Lebedev’s grandmother gave her and her sister beautiful, handmade doll beds for Christmas. She told them that she’d made the beds so that one day their children would have beautiful beds for their dolls — but they ended up being used a bit differently than she imagined. Lebedev and her family are from Russia, and her grandmother has always handmade their clothes for them, even since moving to the U.S. After she gave them the special doll beds, Lebedev and her sister put them away in the basement for safekeeping. When Hurricane Irma hit, their basement began flooding, and the sisters brought up anything of value to make sure that nothing got ruined. … and of course, the dogs instantly loved them. The beds turned out to be the perfect cozy place for the pups to snuggle up and wait out the rest of the storm. 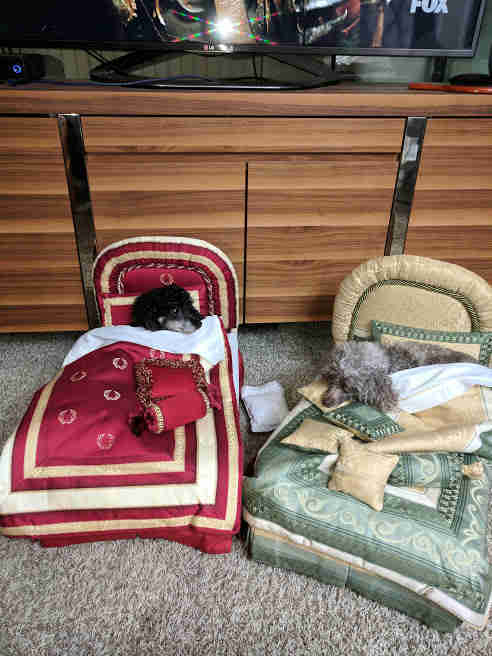 The sisters eventually put the beds away, but are definitely planning on taking them out for the dogs to enjoy again — and may even use them to take adorable Christmas card photos. 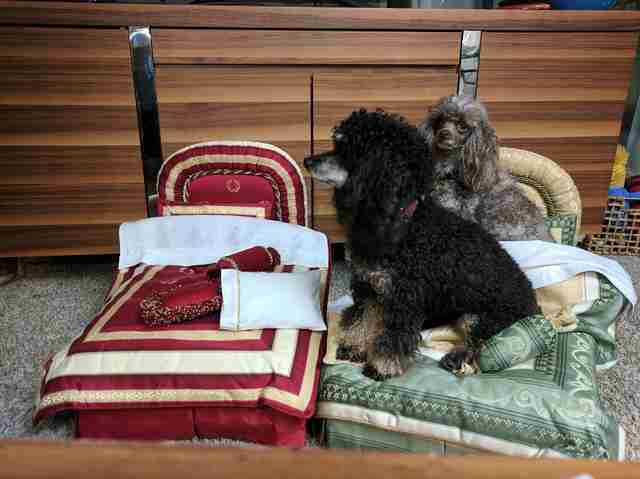 Of course, not everyone was as amused by the pups using the special doll beds. 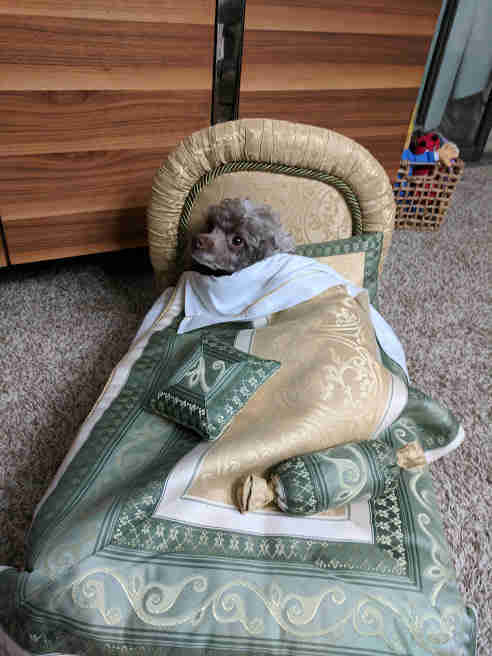 When Grandma found out what her handmade beds were being used for, she had a very strong reaction. 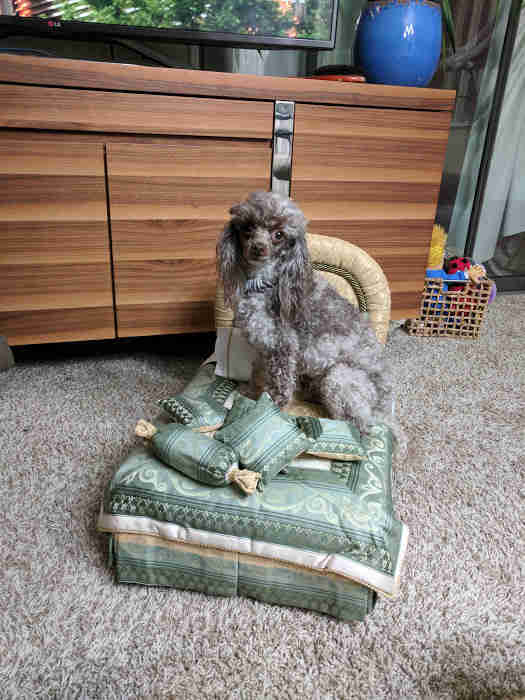 First, she said, “It's for my future great-granddaughters; don't ruin them.” Then she went on to offer to charge $50 a day for other dogs to use them.